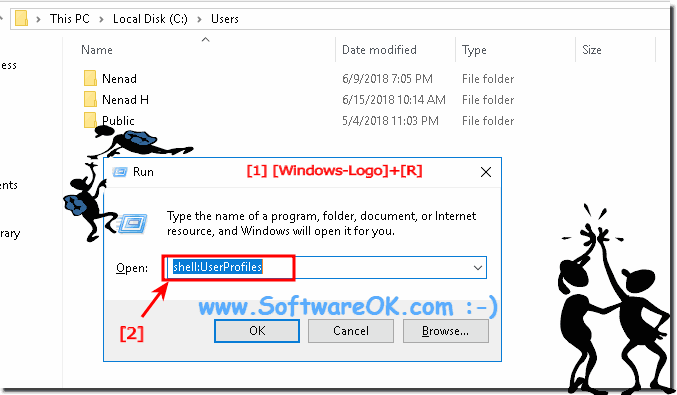 When you want to see Personal Files Folder in Windows 10 for current and / or of all users for example to make a backup to an USB Stick or HDD. Quite practical, for example, to make a backup on an USB stick, or hard drive so that the data is not completely lost at a Windows-10 system crash! 1.) ... The My Documents Folder / Directory Path! 2.) ... The Personal Documents folder of all users! See also: ►► How to find auto startup folder in Windows 10 (Where is it)? 1.) The My Documents Folder / Directory Path! Please start the MS - Explorer in Windows 10, for example via keyboard shortcut Windows-Logo + E and enter in the Address-Bar (Alt+D) the address shell:UsersFilesFolder and for all use shell:UserProfiles! 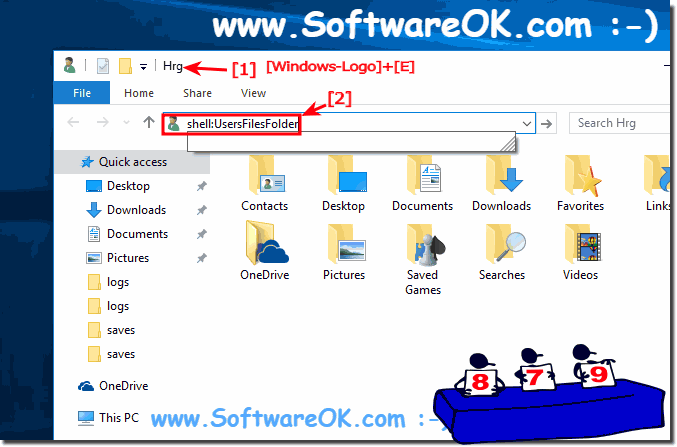 (Image-1) Open Personal Files Folder in Windows 10! 2.) The Personal Documents folder of all users! C:\users or the command shell:UserProfiles, here you can see all user folders and modify them, add data, copy and delete. In order to have full access to all folders you need of course full administrator rights. For example, a standard Windows 10 user, can not delete files from the administrator or add files and folders. However, the user with administrator rights can perform all file operations in all user folders. (Image-2) All User Personal Files Folder in Windows 10! This short, and smart example is also suitable for Windows 10 (Redstone 4 & 5), 8.1, 8, 7: Pro, Home, Enterprise, Basic, Premium, Professional, Starter, Ultimate, Windows-Server 2016, 2012, 2008, and is therefore quite universal under Microsoft (c ) Windows operating systems.